The Official GolfGym - Golf Fitness Simplified Blog: "Begin With The Follow Through" by Arlen Bento Jr.
"Begin With The Follow Through" by Arlen Bento Jr.
Do you feel there are certain things in life that are just "meant to be"? I guess when you think about it...everything in life is just meant to be, but you know what I mean. My most recent "meant to be" moment was serendipitous meeting with a very unique man named Arlen Bento, Jr. Arlen has been involved in golf in some way or another for many many years, either as the Head Golf Professional at PGA Village, Pine School high school golf team coach, club fitter, golf sales and much more. (see below for full resume) Over those years he has developed some very unique and very effective golf drills and teaching techniques that he has passed along to his golf students. 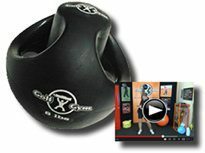 It has always been a challenge demonstrating golf fitness techniques and exercises to golfers, hoping they will employ them consistently to reap the benefits. However, it is difficult for most golfers to see the benefit of a movement pattern or exercise if it isn't tied directly to their swing. With Arlen, I think we can bridge that gap. The following is the first of many tips and drills that we created together. 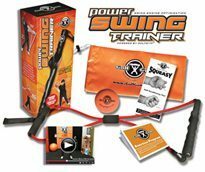 With Arlen's years of experience and using "the best golf training products on the planet" (an unbiased opinion...Ok, I'm biased) we should be able to bring you just what you need to get better at this game which, more importantly, will help you enjoy the game more. So let's "Begin With The Follow Through" shall we? Arlen Bento Jr. is a USGTF Master Teaching Professional, former Head Golf Professional of the PGA Country Club and PGA Village and Director of Golf at Eagle Marsh Golf Club in Jensen Beach, FL. He is the Director of Junior Instruction at the Stuart Yacht and Country Club in Stuart, FL and He can be reached via his website at www.abjgolfsales.com. I think practicing your follow through from the set-up is a great idea. Train the muscles without the use of momentum. 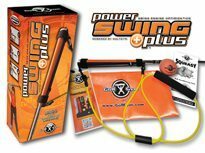 Using resistance band will strengthen those muscles quick but you need to be careful your technique is correct. Really enjoyed this approach. Great Idea and excellent video. Nice job guys!! Play Golf - An Oxymoron? 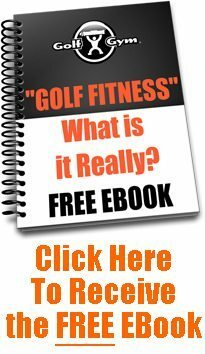 Is Your Golf Game Like a Vegemite Sandwich? 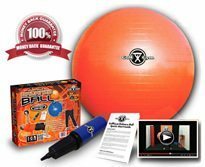 GolfGym - TSA Approved for Travel?